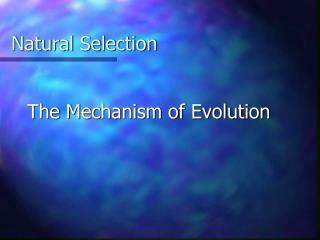 Natural selection is a mechanism for evolution. 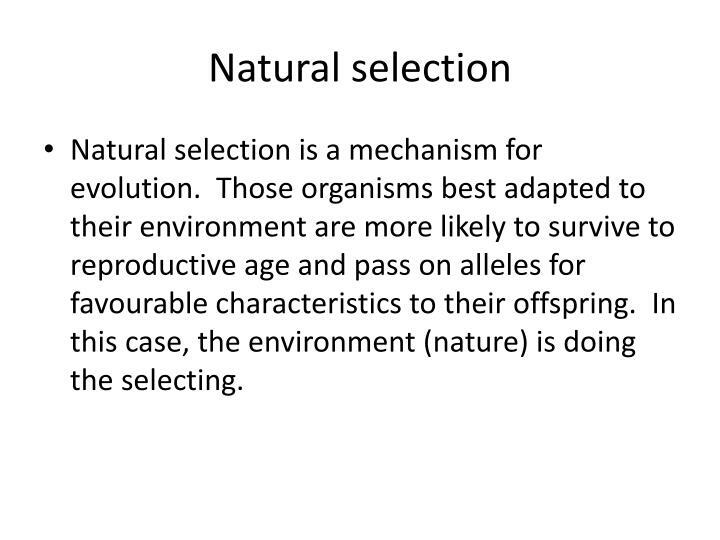 Those organisms best adapted to their environment are more likely to survive to reproductive age and pass on alleles for favourable characteristics to their offspring. 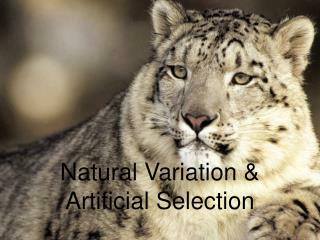 In this case, the environment (nature) is doing the selecting. 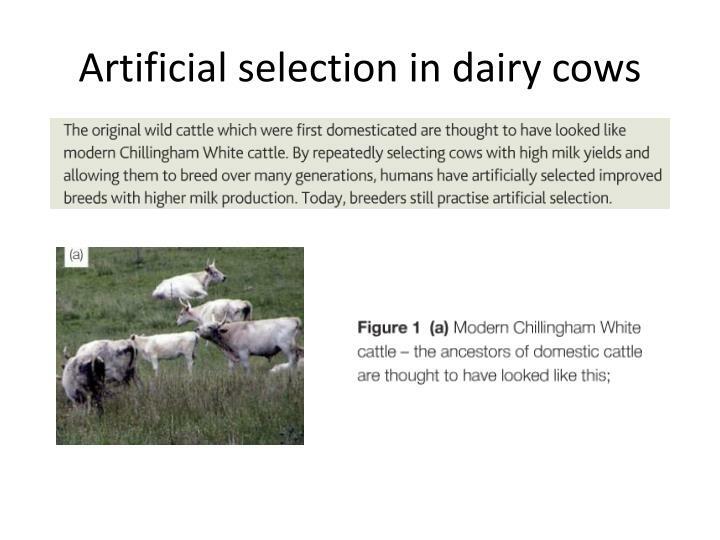 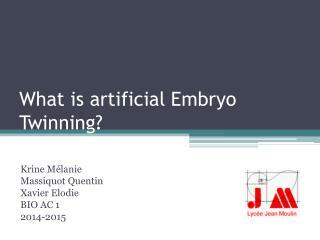 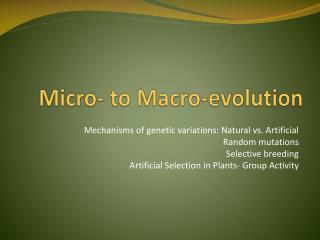 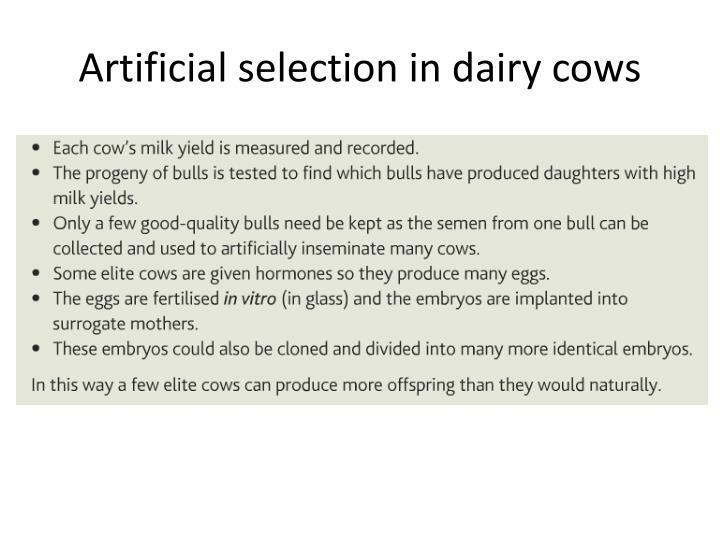 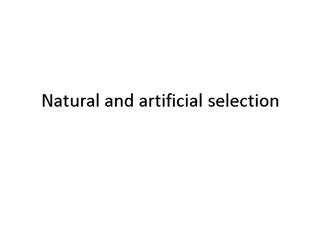 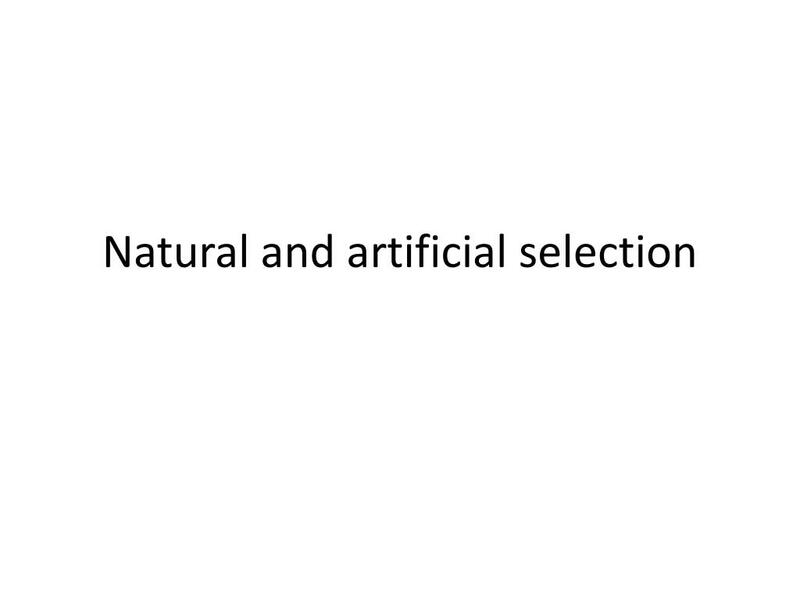 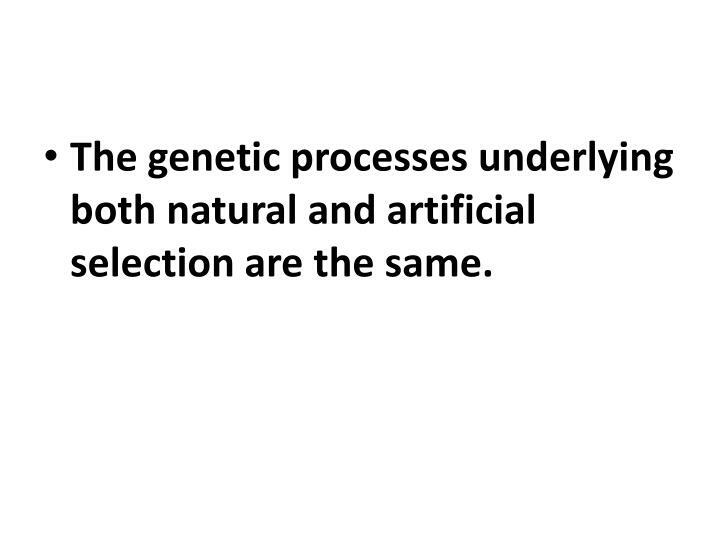 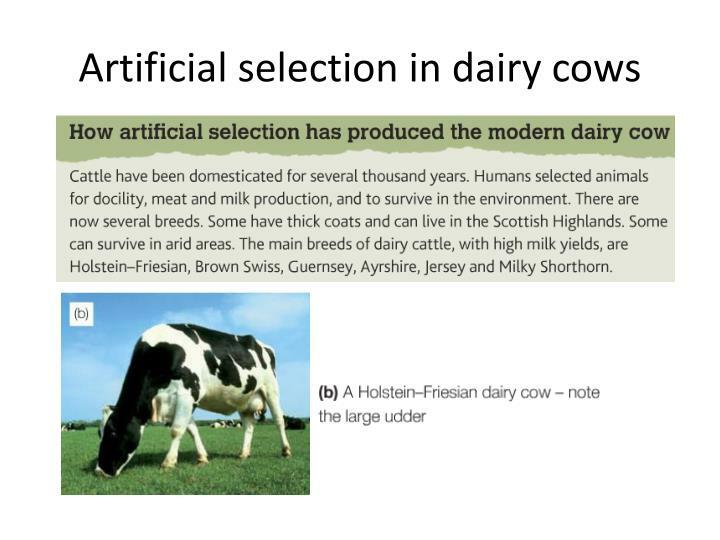 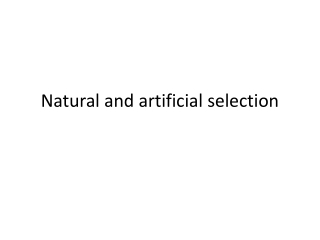 The genetic processes underlying both natural and artificial selection are the same. 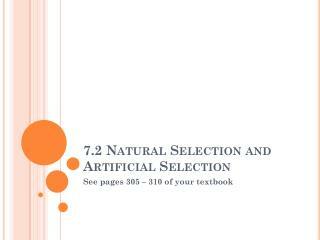 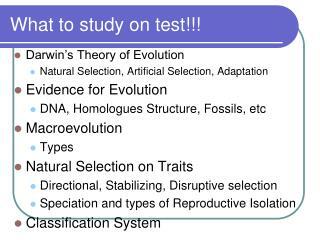 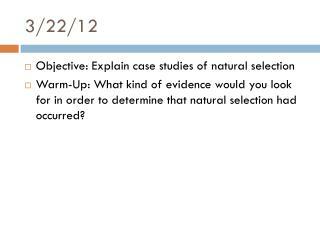 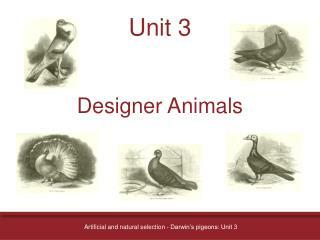 Make a table to compare natural selection and artificial selection (include similarities as well as differences). 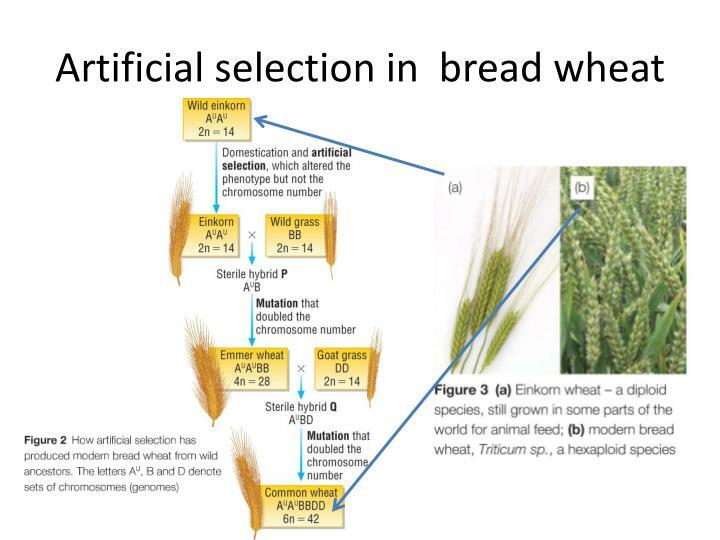 In the classification of T. aestivum and einkorn wheat, has the biological species concept or the cladistic concept been used? 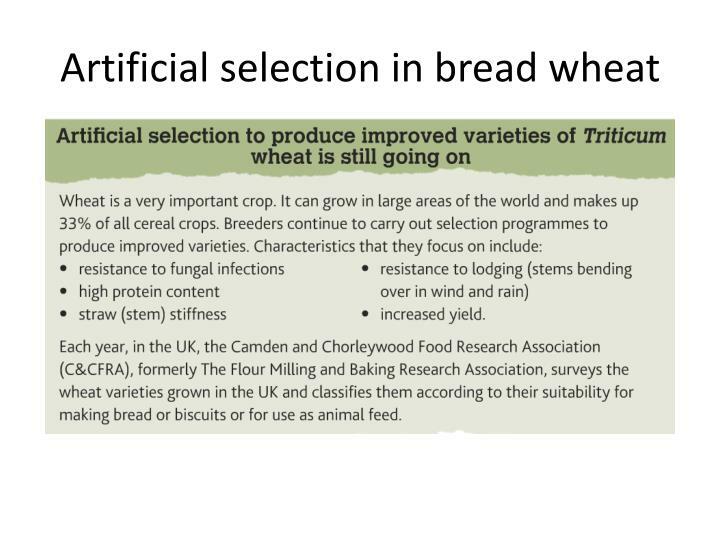 The protein in wheat grains has a specific quality. 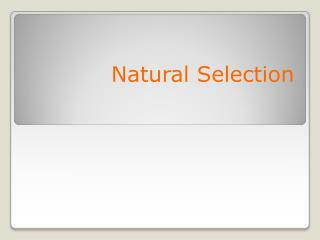 When hydrated and kneaded it forms a sticky, rubbery mass that holds bubbles of gas produced from yeast, giving the characteristic light texture of bread. 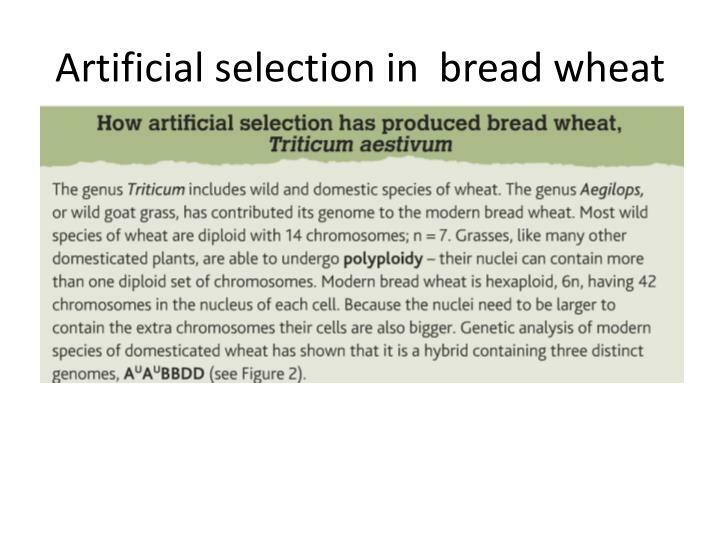 The only other cereal grain that produces a protein able to do this is rye. 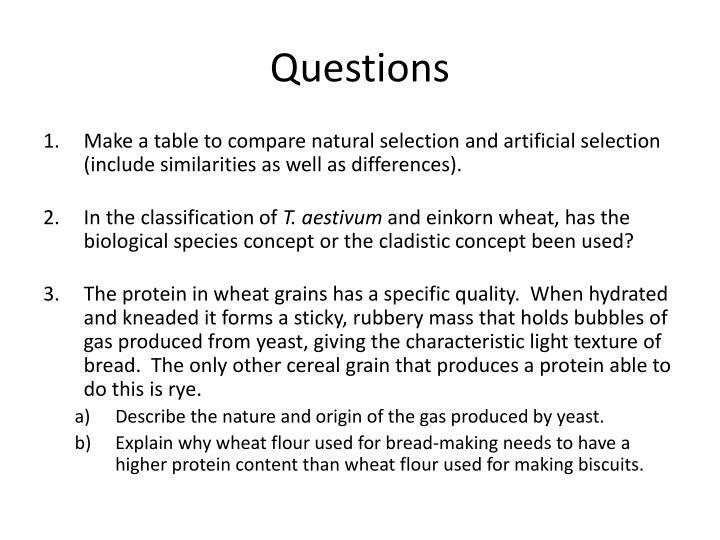 Describe the nature and origin of the gas produced by yeast. 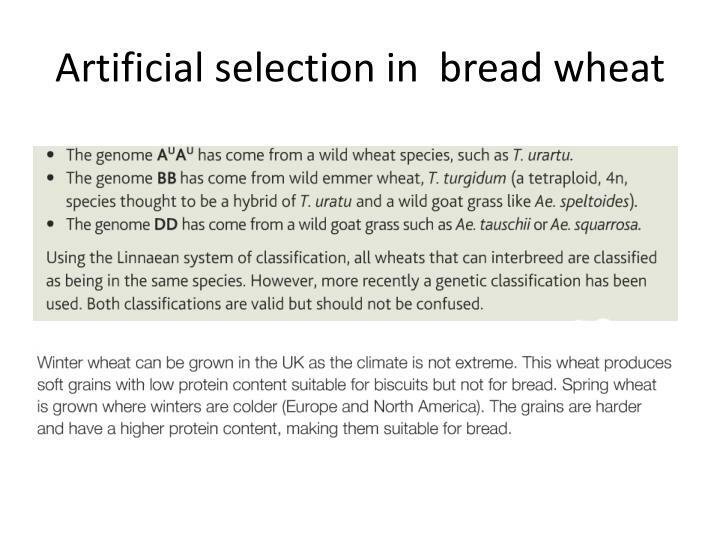 Explain why wheat flour used for bread-making needs to have a higher protein content than wheat flour used for making biscuits. 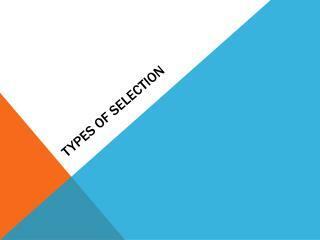 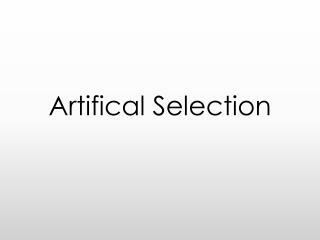 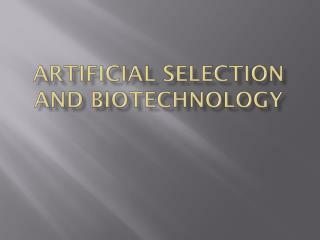 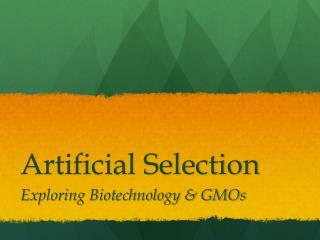 Artifical Selection -. 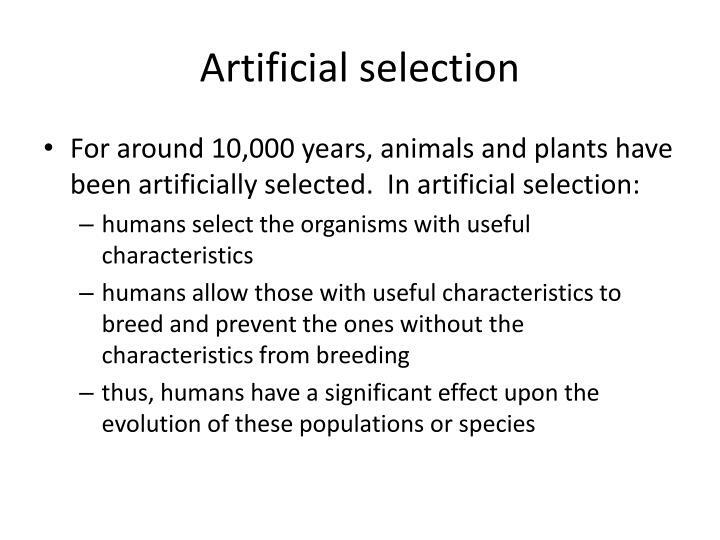 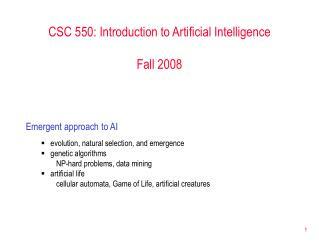 artificial selection. 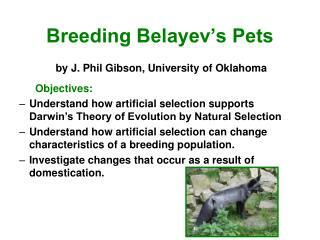 artificial selection is the deliberate selection of organisms with desirable characteristics that are useful to humans humans determine which alleles pass onto successive generations. 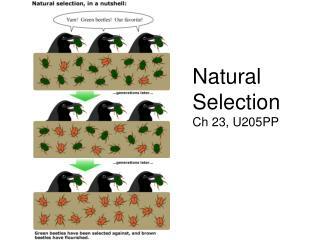 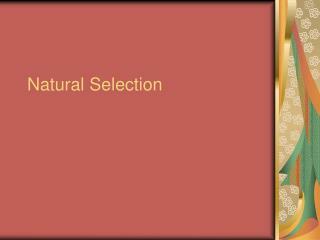 Evolution & Natural Selection -Evolution &amp; natural selection. 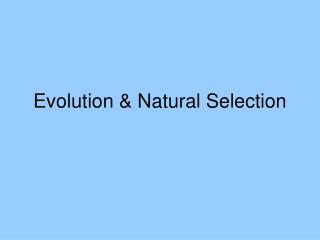 evolution. 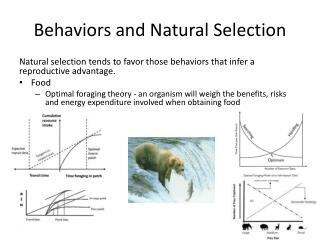 means “change.” in a narrower sense referring to organisms, means a permanent change occurring in a species over generations. 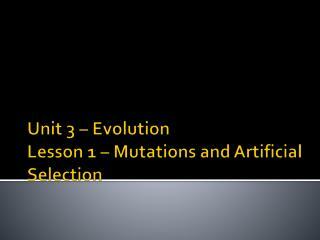 can evolution be a fact?.